The small southern Moroccan town of Ouarzazate is home to a surprising number of major film studios that work with production companies to make movies set in Mediterranean and Middle Eastern locations. It may seem far away from everything else, but if you've ever watched a movie in the last thirty years, it'll seem also very familiar. Is Norway's contribution to pop culture the most covered song of all time? Tobacco is widely grown across the south of the country, all the way to the border. Here are pictures of tobacco growing in the field and drying in villages around Bint Jbail. 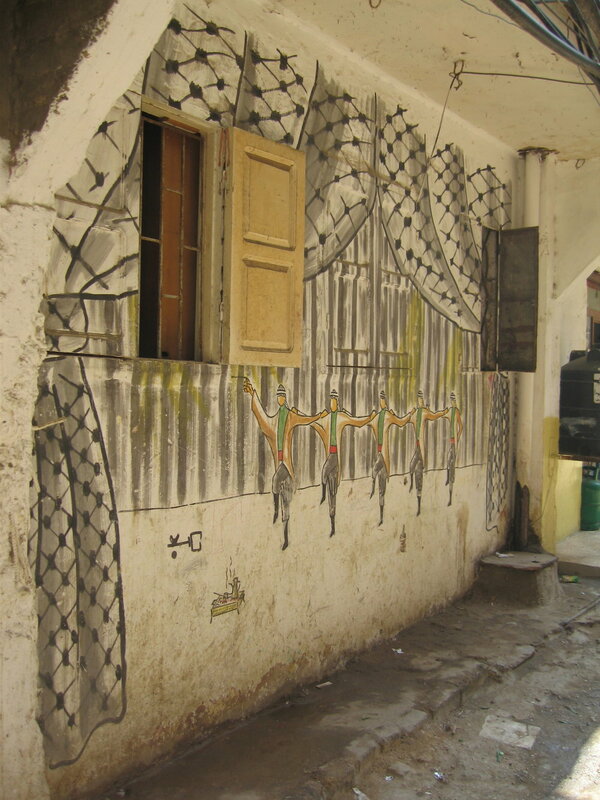 The walls of the camps form a gallery for local artists. These pictures were taken in June, 2005.